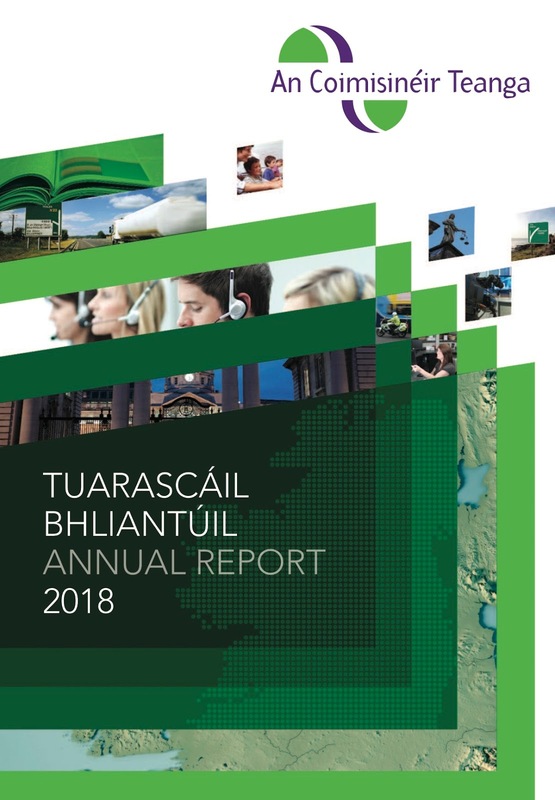 Irish language provisions of the Broadcasting Act; the inability of computer systems to use the síneadh fada; and a formal investigation, for the first time, into the use of Twitter for official purposes amongst the matters highlighted in the 2018 Annual Report of An Coimisinéir Teanga. This year was a productive and important one for the Office of the Official Languages Commissioner. Some very significant investigations relating to difficulties accessing services through Irish, both nationally and in the Gaeltacht, were initiated and concluded. RTÉ is not fulfilling a statutory requirement outlined in the Broadcasting Act 2009. An investigation by the State’s Official Languages Commissioner has found the amount of programming broadcast in Irish by RTÉ to be seriously deficient, at odds with the will of the Oireachtas and in breach of the language provisions of the Broadcasting Act 2009. The investigation found that less than 1% of programmes broadcast on RTÉ television are classified as Irish language programmes, despite a statutory obligation to broadcast a comprehensive range of programmes in the language. The investigation also found that some of the genres RTÉ is obliged to cover in Irish by the Broadcasting Act were either not catered for at all by RTÉ or only catered for in a very limited fashion. The report finds that while RTÉ has a clear definition of what constitutes ‘comprehensive coverage’ in the English language that there appears to be a drastically different understanding of what this means in relation to its Irish language coverage. An Coimisinéir Teanga has recommended that RTÉ provides his Office with an implementation plan setting out the measures to be taken by the national broadcaster to ensure it meets its statutory language obligations. The details of this investigation, as well as the other seven investigations carried out by An Coimisinéir Teanga, are outlined in the Annual Report of the Language Commissioner for 2018. Galway County Council regarding the issuing of tweets relating to the Gaeltacht which were issued in English only. This was in breach of its own statutory language scheme. It is also the first time a formal investigation by this Office dealt with the use of Twitter. In addition to these investigations Mr Ó Domhnaill stated that the level of cooperation his Office received from the Abbey Theatre was not commensurate with the standard he would expect from the country’s national theatre and was a matter of some disappointment. An Coimisinéir Teanga found in an investigation that some of the signage used in the theatre was in contravention of statutory obligations concerning the official languages. In total the Office received 634 complaints from members of the public last year, a slight decrease (0.63%) from 2017. Most of the complaints related to the lack of Irish on websites, application forms, signage and stationery. The vast majority were resolved through the informal resolution mechanism operated by the Office. The report also contains details of the activities of the Coimisinéir throughout the year including participating in meetings, seminars and celebrations directly or indirectly connected with language related topics. The Coimisinéir's status is enhanced by the recognition he and his office receives both at home and abroad. The first Coimisinéir Seán Ó Cuirreáin was instrumental in forming the International Association of Language Commissioners and Rónán Ó Domhnail is currently the Chair of this body with members from different continents. He is also a member of the Ombudsman Association. This is an association of all the Ombudsman Offices in Ireland and Great Britain. He was appointed Chairperson of the Irish Ombudsman Forum in 2017. The Ombudsman Forum, comprises seven members and meets once every quarter. The other members of the Forum are the Ombudsman, the Financial Services and Pensions Ombudsman, the Ombudsman for Children, the Press Ombudsman, the Defence Forces Ombudsman and the Garda Síochána Ombudsman Commission. Fóram na Gaeilge is a forum for leaders of Irish language state organisations to update each other and share feedback on the most important aspects of our organisations' agendas. They are individual organisations acting independently of each other, but having much in common. The other members of the Fóram are Foras na Gaeilge, Údarás na Gaeltachta, An Foras Pátrúnachta and An Chomhairle um Oideachas Gaeltachta & Gaelscolaíochta. I am always interested in the cost of state services and in view of the many and varied accounts on the amount of money that is spent on Irish. As has been the case over the years I have been more than impressed at the amount of work accomplished by this office for such a small amount of money. A budget of €753,000 was provided for the Office for 2018 and €746,623 of that money was drawn down. As the report states: "This year was a productive and important one for the Office. Some very significant investigations relating to difficulties accessing services through Irish, both nationally and in the Gaeltacht, were initiated and concluded." The bilingual report may be downloaded from the website here. Why risk a fine of €10 million? 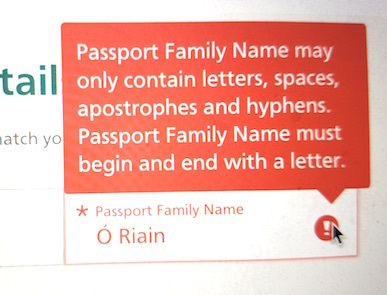 Ó Riain is my Passport Family Name so, strictly speaking I am unable to complete this registration. This report of an investigation into allocation of so-called postal codes, found that the Department had indeed breached legislation in using English versions of place names in the Gaeltacht but because "there is no language legislation at present that ensures the State has an obligation to accept the choice of the citizen regarding his/ her name ... it wasn’t included as a statutory question for which findings had to be made as part of the investigation." He later observed in an address to an Oireachtas Committee that he was disappointed to note that there is no protection, either in the Official Language Acts (2003) nár any other act that protects the use of the use of the name, surname or address in whichever official language the citizen chooses. (Address to Oireachtas Committee on Irish, Gaeltacht and Islands [Irish] - 4 Oct 2016). However if there is no law in Irish domestic legislation to protect the integrity of one's name the GDPR legislation* passed by the European Union in 2016 (8 April 2016) and enacted earlier this year (25th May 2018) which does so provide. I learned about this from an article and video, ‘Tá sé de cheart agat fada a bheith i d’ainm, faigh é!’ by the award winning Film producer Ciarán Ó Cofaigh (Cré na Cille, Murdair Mhám Trasna, Na Cloigne agus eile!) in the on-line news service tuairisc.ie. "The data subject shall have the right to obtain from the controller without undue delay the rectification of inaccurate personal data concerning him or her. Taking into account the purposes of the processing, the data subject shall have the right to have incomplete personal data completed, including by means of providing a supplementary statement." The real punch line in Ó Cofaigh's article comes near the end. Basically he says if more than one request of this nature is received by an entity - and this refers to all entities not just state owned companies or departments - fines of up to €10 million are allowed for. He urges those who have this problem should make a request not on the basis of human rights (language rights) but under the the GDPR Legislation (Art 16). ¨You may also like to consider just how important a fada can be. Remember tha Sean means old whereas Seán ia a male name. "....one’s name/surname is integral to one’s identity. There is no excuse for any person, company or organisation, not to mention an agency of the State, to anglicise that identity..."
Investigation into Department of Communications, Energy and Natural Resources- Rollout of Postcode 31 Dec 2015. A few days ago we parked our car in the car park adjacent to Galway Cathedral. This Carpark covers ground in which the bodies of those executed in the old Galway prison are buried. We parked beside a slab which commemorates those. Among those was Maolra Seoighe whose hanging was a travesty of justice written about in Seán Ó Cuirreáin's book "Éagóir". A small additional plaque commemorates him also but I thought it ironic that it is written in the language of his executors and which he would have difficulty in understanding. 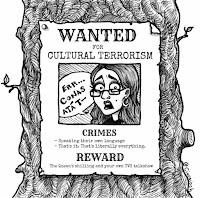 A number of coincidental happenings have highlighted the continuation of this lack of sensitivity amounting to disrespect suffered by those who choose to use our National Language (Bunracht na hÉireann/Constitution of Ireland Article 8.1) or who are born in the areas in which it is still the vernacular. I recently had to renew my driving licence. Because of my age this is something I have to do every three years. The Government, in its wisdom, have handed this service over to a commercial entity and I had incredible difficulty in 2015 in renewing it and wrote about it at the time. This time after receiving the (bilingual) reminder I went to the internet site which is still designed for speakers of English only. It has improved somewhat in the intervening years. The forms are clearly indicated as being in either Irish or English - if you have sufficient English to locate the forms page that is! Unfortunately in order to set up an appointment one cannot set up one in the national language and so I had to go through a long rigmarole of direct communications with the organisation and eventually I was given an appointment and had the ludicrous situation of an translator being provided so that I could renew with the English speaking person on duty. I am Irish, in my country, Ireland, not a Lithuanian in a foreign country! See my adventure here - Four e-mails & a telephone call! (Irish). I had a somewhat similar experience when applying for the Public Services Card. When the card eventually was issued my surname was incorrect omitting the fada (long sign) over the "O' in Ó Riain. I didn't have the energy to return it to them. Both my Driving License and my Passport do include it. My daughter recently married a man with an Italian surname and while speaking I made the following remark: "...and with what is now her new surname, she will never be asked 'What is that in English!' ever again." Within the past few days the prevalence of this practice was emphasised in my own case and also in several tweets. We went for our flu jabs in our local clinic. We gave our name and immediately came back the remark, "That's 'Ryan' isn't it," I repeated Ó Riain (inwardly fuming!) and nothing else was said as we proceeded with the business in hand. "So would you be in as that in the system?" Two well respected journalists responded. Gormfhlaith Ní Thuairisg and Máirín Ní Gadhra recounted their experience in entering Leinster House for Budget Day earlier this month. "That's my name - Gormfhlaith"
"Nee hoorish? You wouldn't want to say that too often...."
"An lá céanna i dTeach Laighean b'éigin m'ainm scríobh ó mo chárta aitheantais- Máirín Uimhir Ceardchumainn"
And this experience of a voter yesterday in Cnoc na Cathrach in Galway again emphasises the point. "Náireach nach raibh oiread is duine amháin sa mbothàn vótála i nGael Scoil Mhic Amhlaigh i nGaillimh in ann labhairt liom i nGaeilge.Curtha ó sheomra go seomra ag lorg mo vóta. Náireach nach raibh oiread is duine amháin sa mbothàn vótála i nGael Scoil Mhic Amhlaigh i nGaillimh in ann labhairt liom i nGaeilge. Curtha ó sheomra go seomra ag lorg mo vòta. 'What your name again.x7.whats that in English.Whats that address in English..."
So what does say about us? It is incredibly insulting in two ways. Firstly is it not patronisingly ignorant of those on us who have chosen to use the ancient and more correct form of our surnames, forenames and address names, many of which are untranslatable? What people call the English form is usually an ill informed not to say mutilated spelling and/or pronunciation. It is something that irritates intensely and indeed the Coimisinéir Teanga has said that the unauthorised changing of Names & Addresses is the single most complained of topic received in his office in 2015/6 (address to Oireachtas Committee 4/10/2016 in Irish) following the distribution of postal codes throughout the country. They were also the most "angry" among the complaints his office receives. In his Investigative Report (pdf) of the debacle of the distribution of these post codes (Which his predececessor had engaged in and warned about as far back as 2008) he states "one’s name and surname is integral to one’s identity. There is no excuse for any person, company or organisation, not to mention an agency of the State, to anglicise that identity by registering people’s details in English when that is neither their wish nor their choice." It also suggests a perceived view of our language as somehow incomplete. 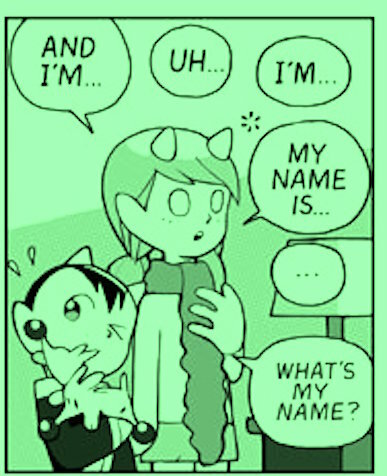 Nobody asks a French person with the name "de Gaulle" what is that in English. Nor did anybody ask what the Pope's surname "Bergoglio" is in English. Yet Muireann Nic Amhlaoibh, Eoin Ó Riain and the others who use the ancient and more correct versions of their names & addresses are subjected to this sort of truly unnecessary interrogation regularly. An article, by Kevin Hickey, has appeared in Tuairisc.ie since this piece was published. 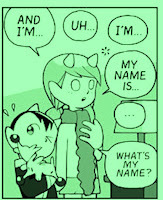 It is apparantly part of a series examining names and their importance. One paragraph caught my eye and (in my poor translation) I give it here: "Máire Mhac an tSaoi says there is 'a sense (iarracht) of schizophrenia in bilingualism', especially in the case of those who use two variations of their names; and Professor Liam Mac Mathúna speaks of the 'uneasy relationship" between the two variants from the point of view of selfidentity." Because we are used to this sort of behavior over the years does not render it in any way correct or acceptable. It is to be hoped that the long-promised Language Act revision - promised for publication before the year end - will address this issue. We've being holding our breadth for this since 2010. Any chance of spontaneous Umgangssprache? I always enjoy, while not always agreeing with, the Irish Times's columnist Miriam Lord. Her Saturday contribution as usual unearthed a few snippits of information. Entitled, Tourists ask Higgins to show them the way, (22nd September 2018) it describes how after an event in Dublin city centre the President was asked for directions as he left. Humourous as that event was I was more interested in the account of another event she covered. 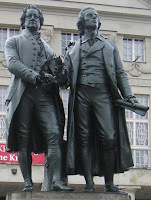 This was the official opening of the Goethe Institut in Dublin's Merrion Square. As someone who has benefited in the past at this establishment I usually note the events that it organises in fostering and promoting German culture in Ireland. Our Minister of Arts Culture and the Gaeltacht, Josepha Madigan, officially opened the new HQ and, according to Miriam, delighted he audience by delivering “three quarters of her speech in German.” We are told that she declared herself a little wary of descending into “spontaneous Umgangssprache.” It was also apparently her first time “speaking in German as a minister.” In her past life she shared that she actually dreamed in German when she lived in Vienna. Her speech earned her a standing ovation. I find it richly ironic, if not tragic, that as Minister charged with supporting, developing and encouraging our National Language she is happy to vaunt he knowledge of the language of Goethe and Schiller yet is unable (unwilling) to express herself at public events in the language of Ó Cadhain, MacAingil, Céitinn, and Colmcille. This is the person whom, as she assumed the position as Minister she said “I think your proficiency and fluency in a language doesn’t mean that you don’t love the language. Obviously I would have been quite proficient some 30 years ago so yes, I probably will try and endeavour to make it a little bit stronger,” (Irish Times 4/12/2017). In effect this means that she has a significant disadvantage as an effective minister because it makes it more challenging for her to understand the real concerns of the Irish-speaking and Gaeltacht communities. 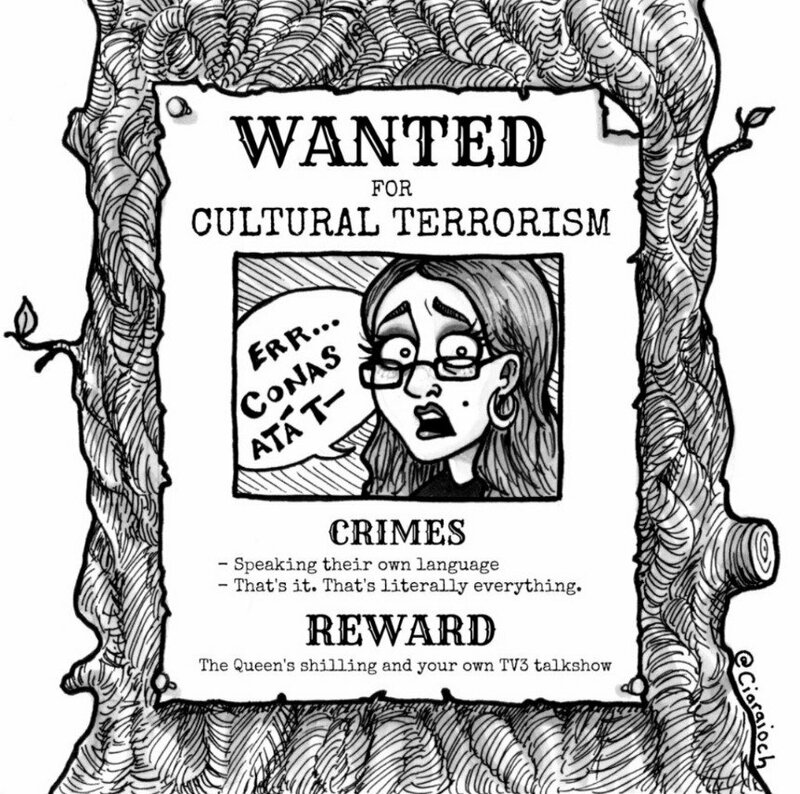 It means that she is cut off from a real connection with the historic Irish nation which perhaps makes a mockery of her position as promoter of a culture which for almost 2000 years was expressed in the Irish language and only 250 years of which is expressed in the English language which itself is about 1000 years old. The people of the Gaeltacht and Irish speakers would be particularly impressed, I feel, if she descended into Umgangssprache spontaneously or otherwise while speaking at cultural events. She might even get another standing ovation. Perhaps she would benefit by asking Michael D for directions! I consider myself a reasonable person but recently I was moved to real anger mixed with sorrow. This was after looking in to a programme "The Tonight Show" which was broadcast on the Tuesday 19th June. I was shocked at the poisonous and hostile bias displayed by one of the presenters, Ivan Yates, to the popular broadcaster Blaithnaid Ní Chofaigh before she had even opened her mouth. He fired a gratuitous insult, perhaps racial, which even if she was a language activist, and I would question that, would be deemed unacceptable. She is in fact a professional and successful broadcaster who not only uses her own language - which she has from the cradle - but also in a second language, English. I doubt that Mr Yates or his co-presenter could do that. Indeed, after viewing Tuesday's performance, I would be loath to dignify him, or indeed his co-presenter, who displayed a lamentable ignorance of the subject but without the vitriol, with the description "professional." I seem to recall that two others lost their positions within the last twelve months for remarks not dissimilar to those of Mr Yates though not directed at people who speak Irish. The really sad thing is that their employers, TV3, seem unable to recognise this. An other though that occured to me is that the same Mr Yates in a previous life was a senior Government Minister. Is this perhaps symptomatic of the experience of Gaeltacht peoples and those who wish to conduct business using our National Language when a Government minister holds such ignorant and hostile opinions towards his fellow citizens. Does he not understand as did the great Michael Collins, that "until we have it (Irish) again on our tongues and in our minds we are not free?" Blaithnaid who behaved with laudible equanimity during the programme shared a heartfelt twitter on the following morning: "An deacair glactha leis na maslaithe ó aréir #cearta #ligliom"*. Later that day she commented, "‘Cultural terrorist’ I will add this to a long list of prejudicial, racist and sexist comments thrown at me over the years. #tv3tonight." I have been reading a book on experiences in Nigeria fifty years ago and came across the following words from a young poet, John Ekwere - who may or may not have died in the terrible civil war there. 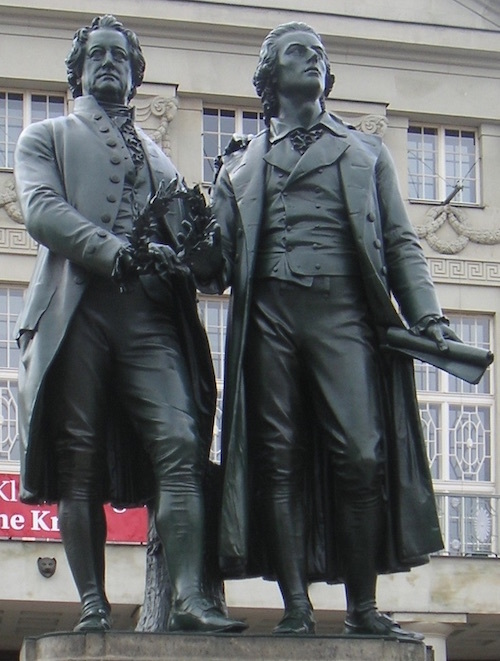 Is not this an uncomfortable echo of the words our first president, "We have thrown away with a light heart the best claim which we have upon the world's recognition of us as a separate nationality." Or indeed of words of Ireland herself as envisioned by the poet Pearse, "Great my shame: My own children that sold their mother....Great my sorrow: That crowd, in whom I placed my trust, decayed." It might perhaps be instructive for Mr Yates and his ilk to ponder on the words of our current President only two short days ago (25th June 2018), “we should not have to make apologies or excuses for any services that are created for the Irish language or through the medium of Irish”. 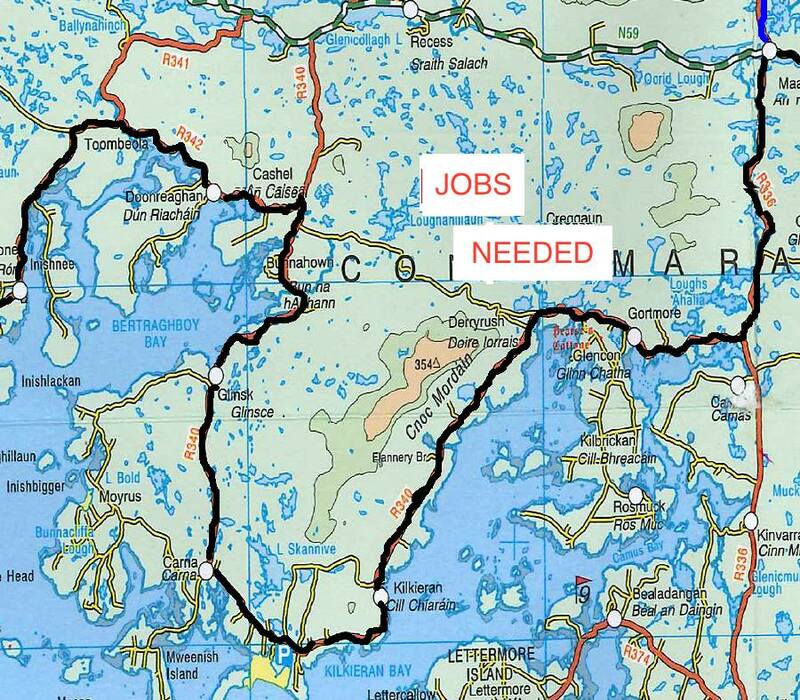 "Coiste Jabanna do Iorras Aithneach (@JobsforCarna) is extremely pleased that Údarás na Gaeltachta is willing to embark on a Development Plan for the Iorrais Aithneach (Carna/Cill Chiaráin) area. It is extremely important to prepare a plan to secure the future of the community. We highly commend the Údarás for their efforts in this regard. It is great to have a Development Plan in the works, but efforts must be made to follow through on this plan. It is crucial that Coiste Jabanna do Iorras Aithneach and local people have an input into the drafting of this plan. We believe a task force is needed to ensure the plan is implemented, this was confirmed by the Minister of State Seán Kyne and local County Councillors at a recent meeting in Cill Chiaráin." Significant obstacle to establishment of Gaelscoileanna to go. An scéal seo i nGaeilge! An Coimisinéir Teanga’s 2017 Annual Report* launched in the Marino Institute of Education in Dublin today (16th May 2018) by the Coimisnéir, Rónán Ó Domhnaill. The statistics published show that there was a 17% reduction in the number of complaints made to the Office in 2017 – from 768 in 2016 to 638 during 2017. One third of the complaints received by the Office concerned services which come under the scope of language schemes. This area encompasses services such as websites, online systems, application forms and interpersonal services. A large number of complaints also concerned a lack of Irish on signage and stationery. The greatest proportion of complaints came from people who live in Dublin (35%) and, as was the case last year, one in every five complaints originated from a Gaeltacht area. The Annual Report contains an account of the formal investigations which were completed during the year, as well as the monitoring work carried out by the Office. 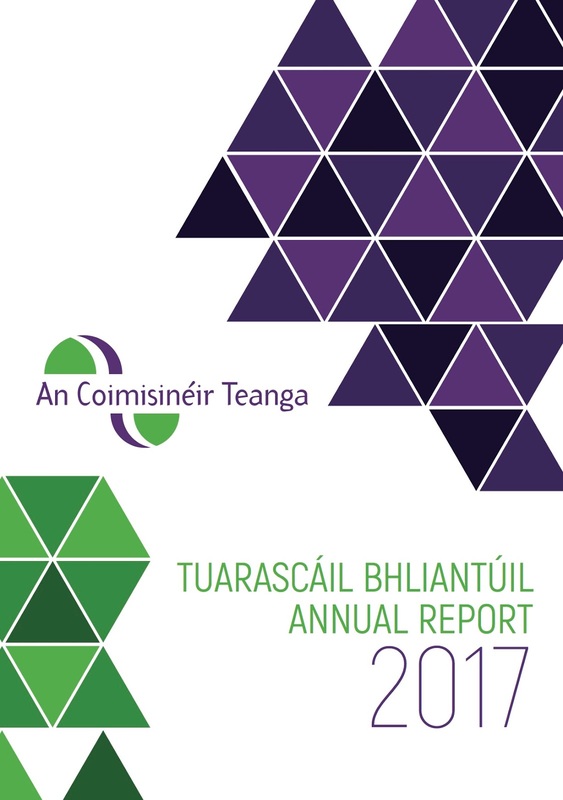 The public bodies which were the subject of investigations during the year included Waterford City and County Council – this investigation concerned publication of its Annual Report for 2015 in English only. An investigation was also carried out on Dublin City University, concerning correspondence in Irish being replied to in English. 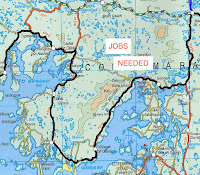 An investigation carried out on Cork County Council concerned publication in English only of draft Local Development Plans and official Gaeltacht placenames. The fourth investigation was into the provision made by the Department of Education for education through Irish and a positive result of which was welcomed by the Coimisinéir and marked by his selection of the venue to launch the 2017 report. The Marino Institute of Education is a teaching, learning and research community committed to promoting inclusion and excellence in education with a strong tradition stretching back into the ninteenth century. The selection of this venue was significant as the Coimisinéir welcomed a recommendation from the Department of Education and Skills which would end one of the major obstacles to the establishment of new Irish-medium schools. Given the result of an investigation by him, the Department of Education and Skills has made a recommendation that would place far greater emphasis on the demand for Irish-medium schools when new schools are being established. Under the current regime for the establishment of new schools in the State, the patron with the highest number of expressions of interest is the one chosen to establish the new school; this is recognised as a major obstacle to the development of Irish-medium education. But under the proposed new system, the patron seeking an Irish-medium school would not necessarily require the largest number of expressions of interest, and two separate schools would be established independently of each other ̶ one English-medium school and one Irish-medium school ̶ if demand for Irish-medium education from a certain percentage of parents could be proven. An Coimisinéir Teanga welcomed the proposal to allow new Irish-medium schools even where the application for Irish-medium education doesn’t obtain the highest number of expressions of interest. "The change proposed by the Department of Education is praiseworthy," An Coimisinéir Teanga said, "and I hope that it will facilitate the efforts of parents in obtaining Irish-medium education for their children, if they so wish. The percentage decided upon needs to make a significant difference in respect of the building of new Irish-medium schools, and it should be agreed as soon as possible." The change proposed by the Department of Education arose from an investigation carried out by An Coimisinéir Teanga into its approach to the establishment of Irish-medium schools. The investigation concluded that the failure by the Department of Education to take the Irish language into account when choosing a patron for a new school for the Drumcondra / Marino / Dublin 1 area breached their statutory duties. That investigation also stated that the system used to select a new school for the area did not accord properly with the aims of the Education Act in respect of the teaching and promotion of Irish. 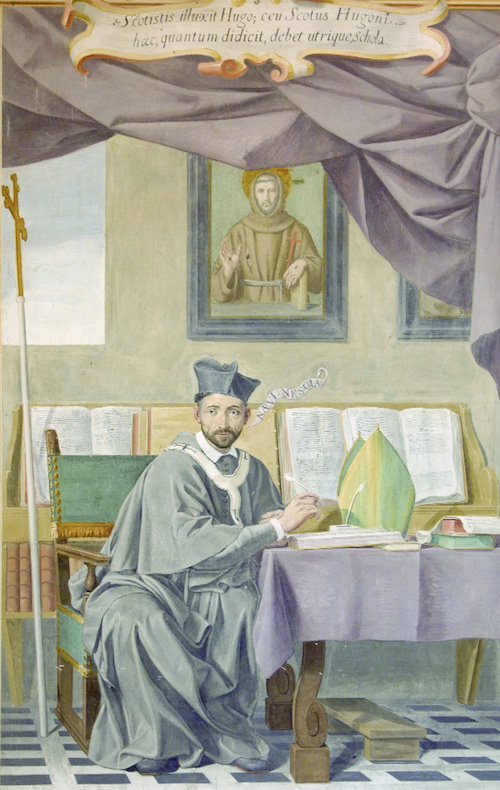 An Coimisinéir Teanga also welcomes the intention of the Department to recommend that the new school to be established in the Drumcondra / Marino / Dublin 1 area is to be a multi-faith Gaelscoil under the patronage of An Foras Pátrúnachta, following the Department’s review of the case in accordance with the recommendations of the investigation. *A pdf copy of the report (Bilingual) may be downloaded here on the website of the Coimisinéir.